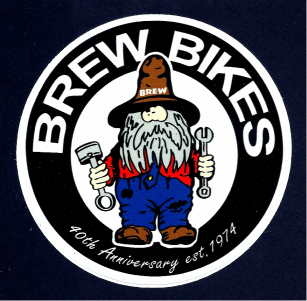 BREW Bikes LLC is a machine & fabrication shop located in the mountains of northwest North Carolina. The name BREW is the acronym for Blue Ridge Electric & Welding. Steve Garn started Blue Ridge Electric & Welding in 1983. The first frame with the BREW name was built in 1987. 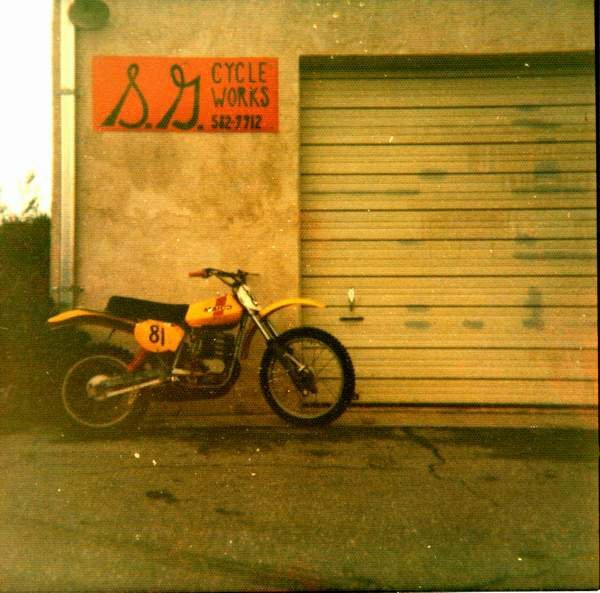 Steve started building frames in 1974 to provide the finances to race motocross and attend the NML Nationals. In 1974 Steve was ranked 3rd in NML for the 125 class. He started SG Cycleworks that did motorcycle frame and engine modifications. He soon started to build BMX frames to support his racing. He stopped building bicycles in 1977 and went into other motorsports. In 1987 Steve built a small mountain bike followed by several custom road racing bike frames. In 1990 a local racer was invited to race in Belgium with a developmental team for 6 weeks. He contacted Steve about a frame. Steve was glad to help out this racer and said he would build him a new frame. Man, this kid was happy! He then informed Steve he was leaving in less than a week! Steve did not have the right angle on the lugs (BREW road frames up to this time were lugged frames) and did not have the time to get them in on time. Steve went into the shop and TIG welded a frame. He then built a straight legged fork for this bike. Six weeks later the kid came back with rave reviews from Europe. Out of the 12 that went, 10 came back with cracked frames from all the training on the cobblestones. Steve decided to pursue this type of welding and fork for their road bikes. A friend of Steve's who owns a well-respected bike shop said nobody would buy a high-end road frame that was not lugged. Boy, was he wrong! Years later most steel frames have joined these ranks. In 1990-1992 he was the sponsor for the Minolta and American Airlines professional bicycle teams. Also in 1991, 6 out of 10 of the Triathletes on the National team were riding BREW frames. In 1992, Carl Sundquist won the National Championship in track racing and went to Barcelona for the Olympics. BREW has had several national champions and records. In 1996 the New York Times featured BREW in the business section for the website of the week. BREW has been in every bicycle magazine in the USA. For 2000 and 2001 a racer on a BREW won the National Championship and placed 2nd at World's. Over the years many component and tubing companies have used the services of BREW in testing and development in their prototypes. This has been a great venture for both sides which helps keep BREW on the cutting edge. As you can tell, BREW is serious about being a leader in the bike industry. Feel free to call us and ask any questions. Being a smaller company means we can prototype, design and test a product in a very short time. Most times we have the product tested while bigger companies are still deciding which path to follow. In 2008 Steve "brewdude" Garn won the Easyriders Old school Builder of the year! Then, in 2010, Brewdude built Pee-wee Herman a new bicycle. More details on the Pee-wee page. Brewdude also does freelance writing and has had monthly tech articles in The Horse Backstreet Choppers Magazine, Cycle Source, Ol' Skool Rodz, American Iron and in American Iron Garage Magazine. 2012 was a good year with BREW receiving a 2nd place at AMD World Championships. As of 2015 Brewdude has had over 100 tech articles published in National Newstand Magazines! In 2015 Steve "Brew Dude" Garn was inducted into the International Master Bike Builders Association known as the acronym IMBBA. At the Championship Of The Americas the Project TARDIR Brew bike received a 2nd place. Competition was very strong and the little bike held it's own! 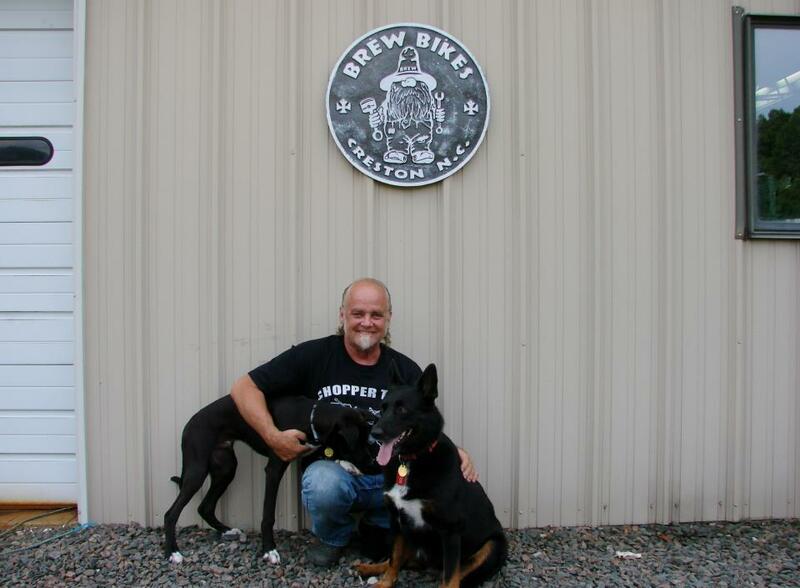 BREWdude currently holds 30 Land Speed records with the ECTA. Brew at 2016 Bonneville had many GREAT runs and left there with 2 #1 AMA National records! Not only that but received the Fritz Kott Award and the Lucky Charms Award. What a GREAT Year 2016 is! 2017 and BREW does it again with 3 more #1 AMA National Land speed Records!